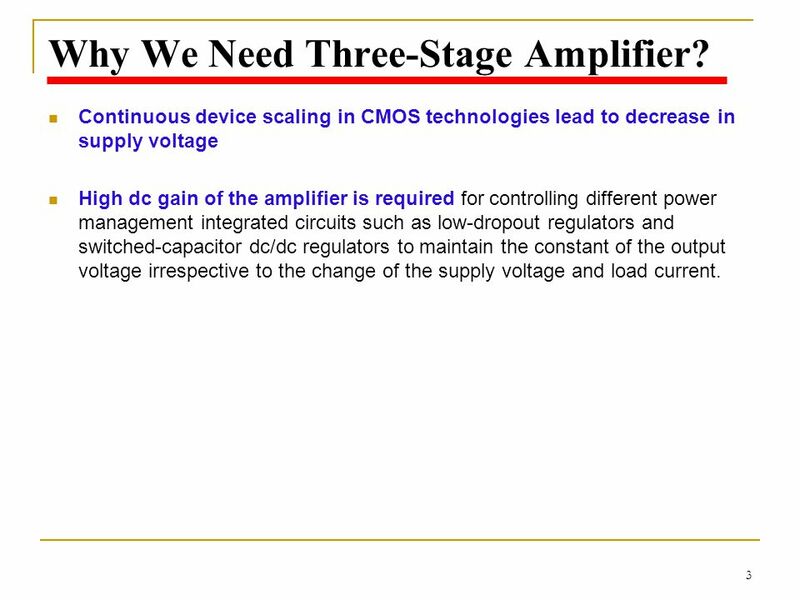 3 Why We Need Three-Stage Amplifier? 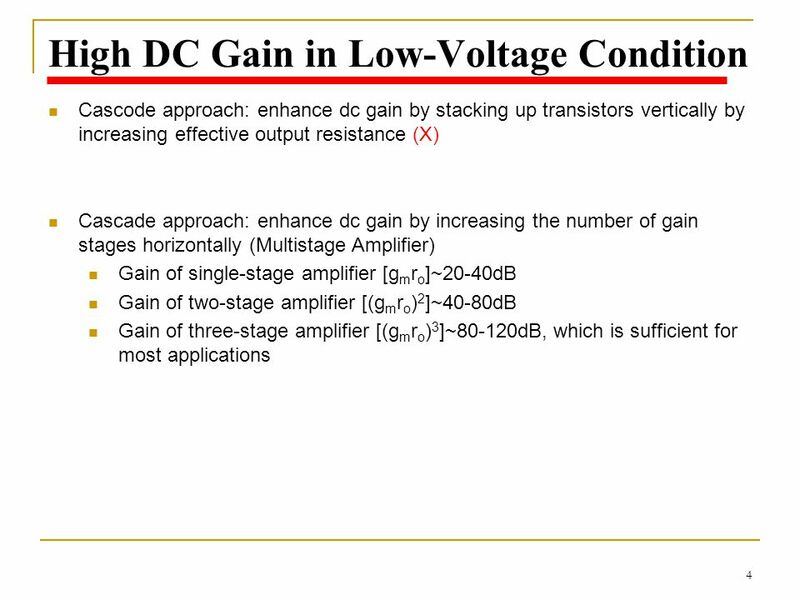 Continuous device scaling in CMOS technologies lead to decrease in supply voltage High dc gain of the amplifier is required for controlling different power management integrated circuits such as low-dropout regulators and switched-capacitor dc/dc regulators to maintain the constant of the output voltage irrespective to the change of the supply voltage and load current. 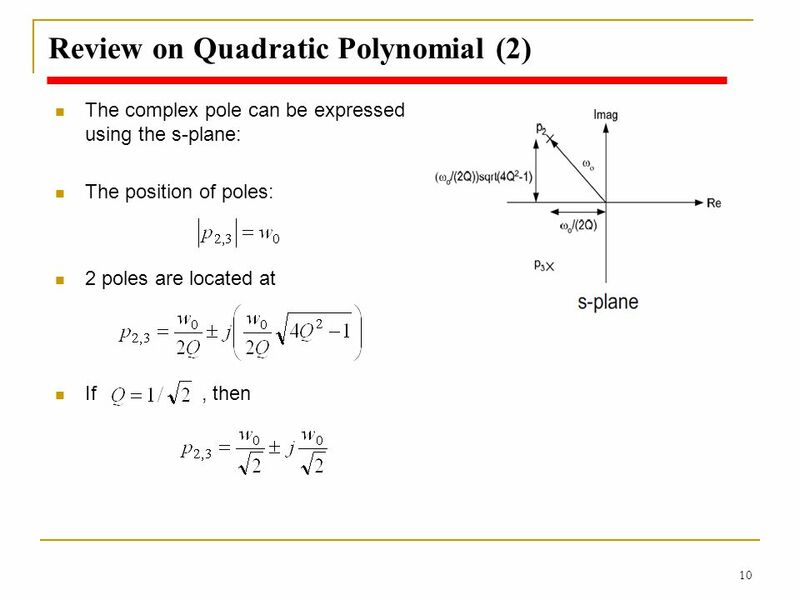 Download ppt "Instructor：Po-Yu Kuo 教師：郭柏佑"
線性穩壓器 (2) Linear Regulators (2) Instructor: Po-Yu Kuo ( 郭柏佑 ) 國立雲林科技大學 電子工程系. Matthew Ladew Philip Hart Jenniffer Estrada. 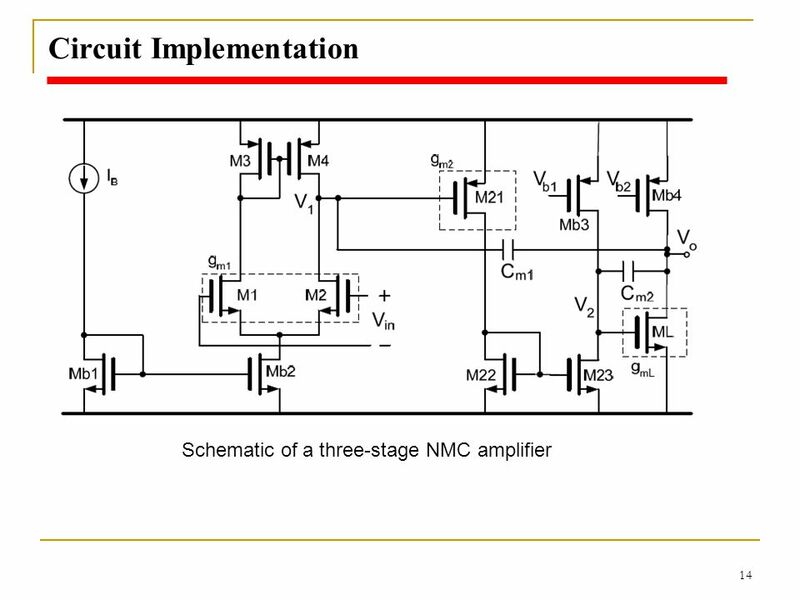 Pmos transistors MP1 and MP2 ensure identical biasing drain currents for MND1 and MND2 Active load- behaving. 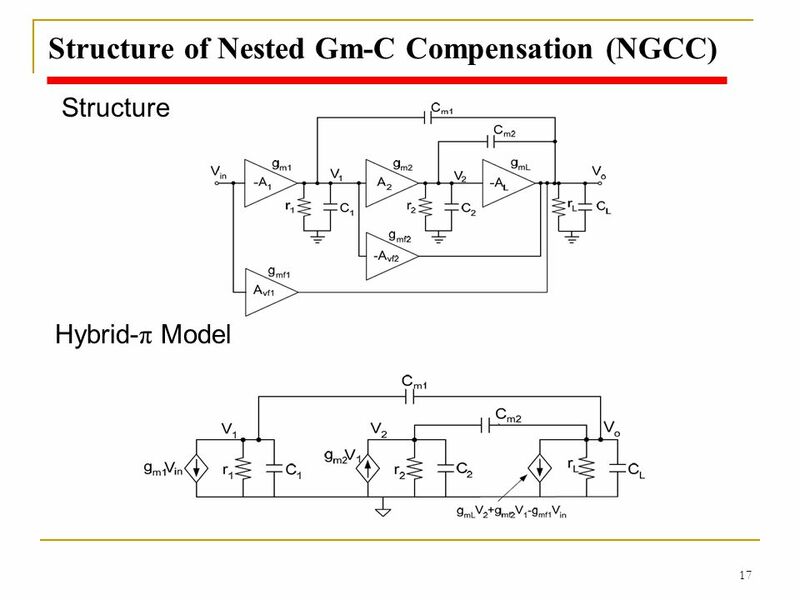 BASIC BLOCKS : PASSIVE COMPONENTS 1. 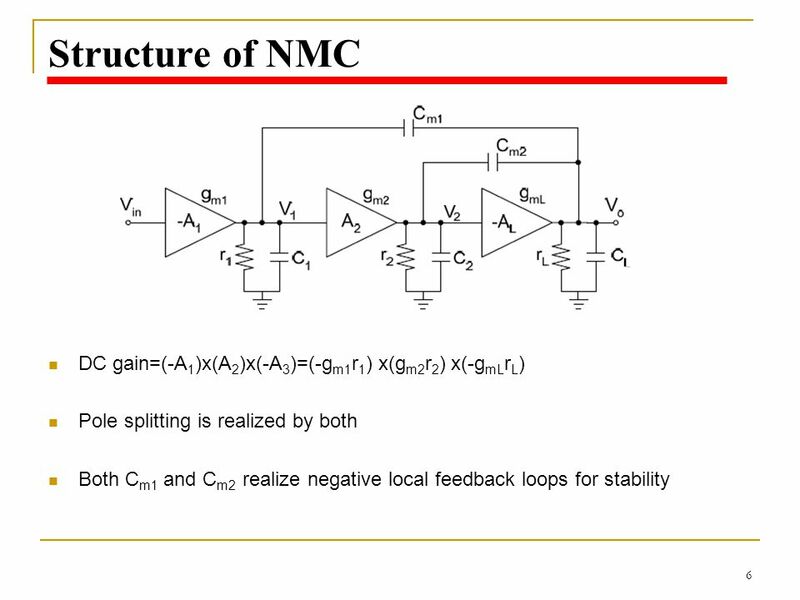 PASSIVE COMPONENTS: Capacitors  Junction Capacitors  Inversion Capacitors  Parallel Plate Capacitors Resistors. 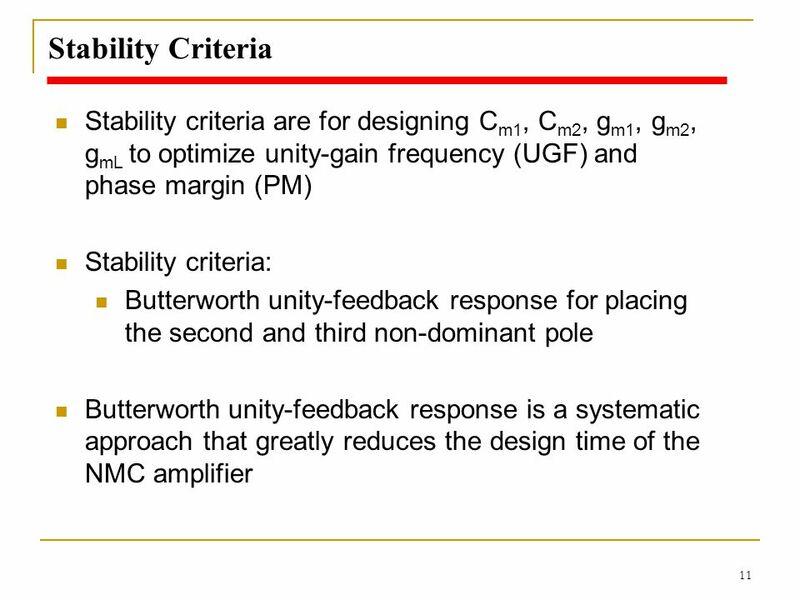 Frequency response I As the frequency of the processed signals increases, the effects of parasitic capacitance in (BJT/MOS) transistors start to manifest. 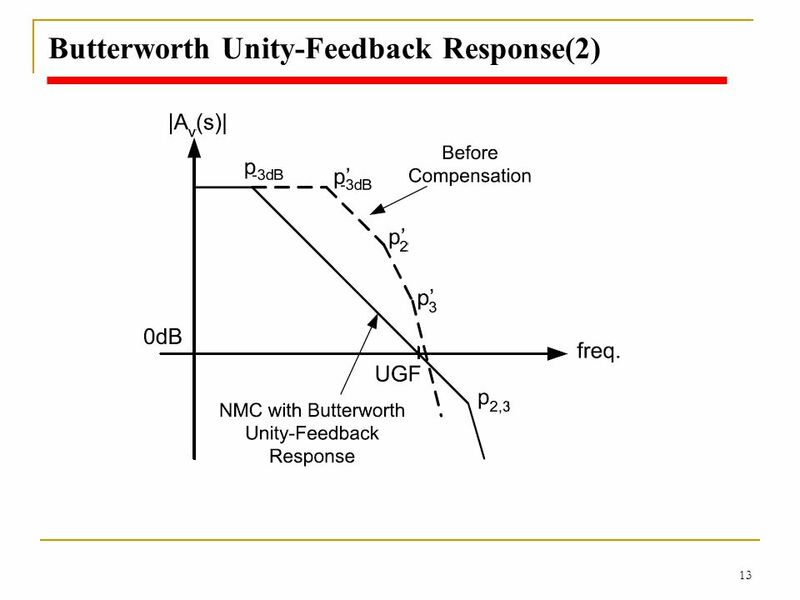 1 Feedback: 8.8 The Stability Problem. 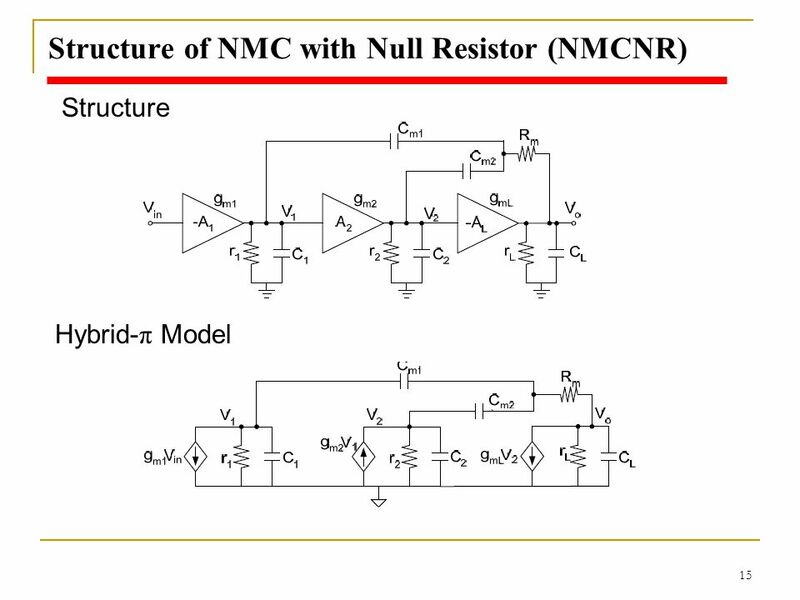 Microelectronic Circuits - Fifth Edition Sedra/Smith2 Copyright  2004 by Oxford University Press, Inc. Figure. 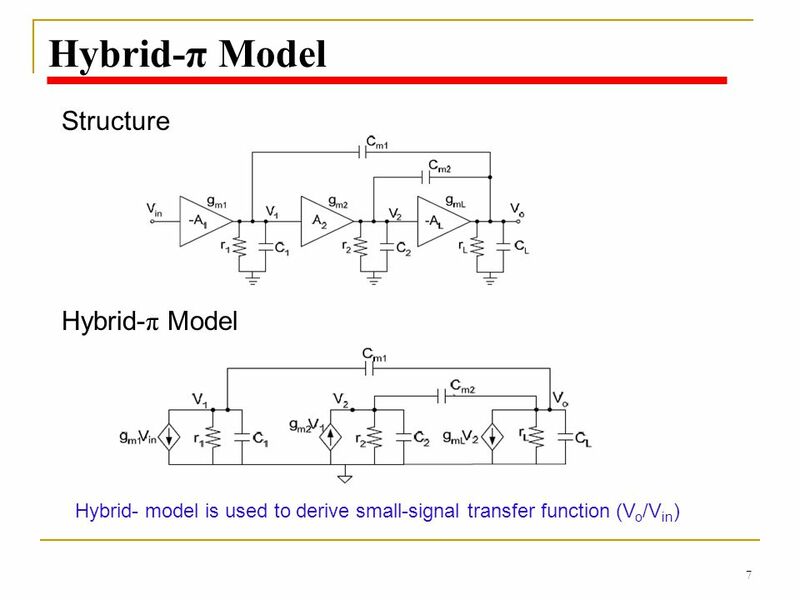 Oscillator principle Oscillators are circuits that generate periodic signals. 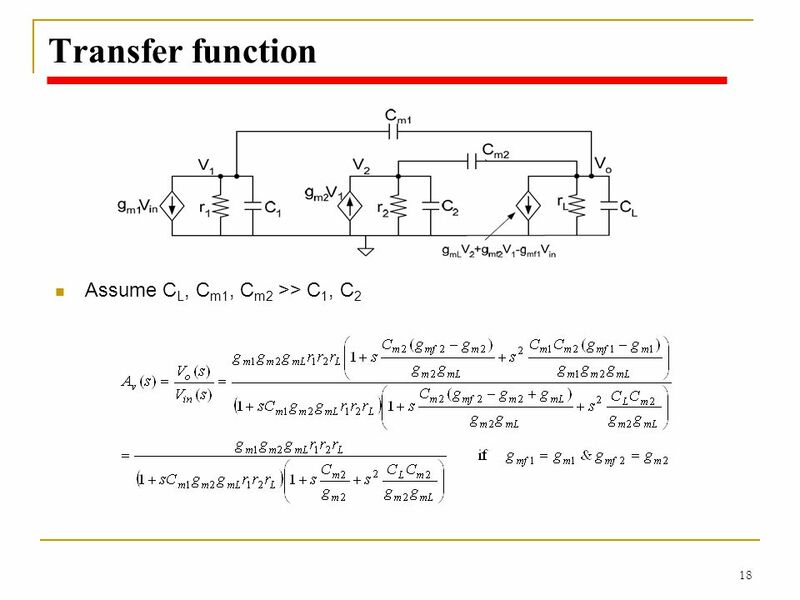 An oscillator converts DC power from power supply to AC signals power spontaneously. 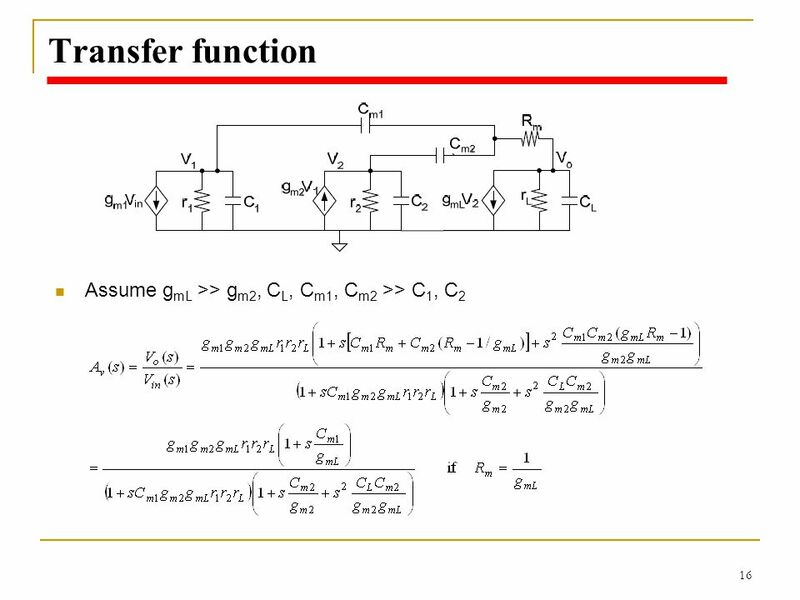 Department of EECS University of California, Berkeley EECS 105 Fall 2003, Lecture 21 Lecture 21: Voltage/Current Buffer Freq Response Prof. Niknejad. 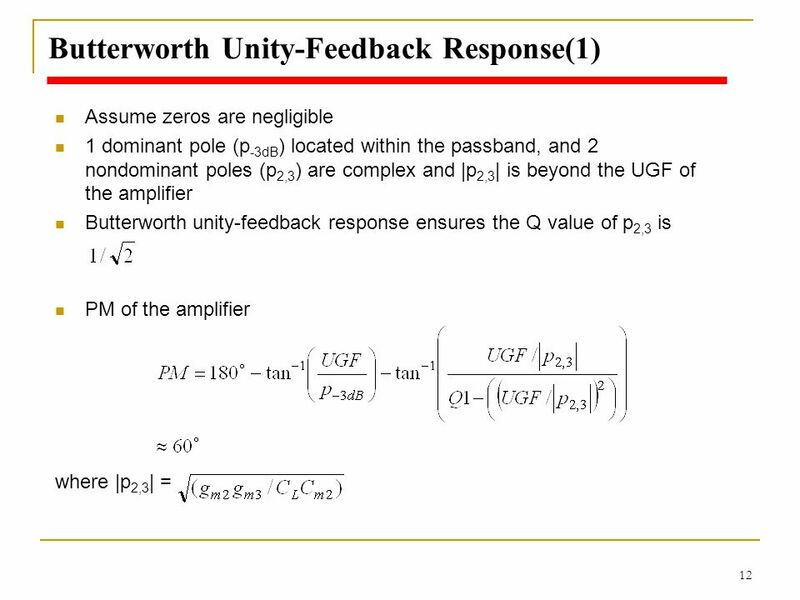 Practical Differential Amplifier Design We’ve discussed Large signal behaviour Small signal voltage gain Today: Input impedance Output impedance Coupling. 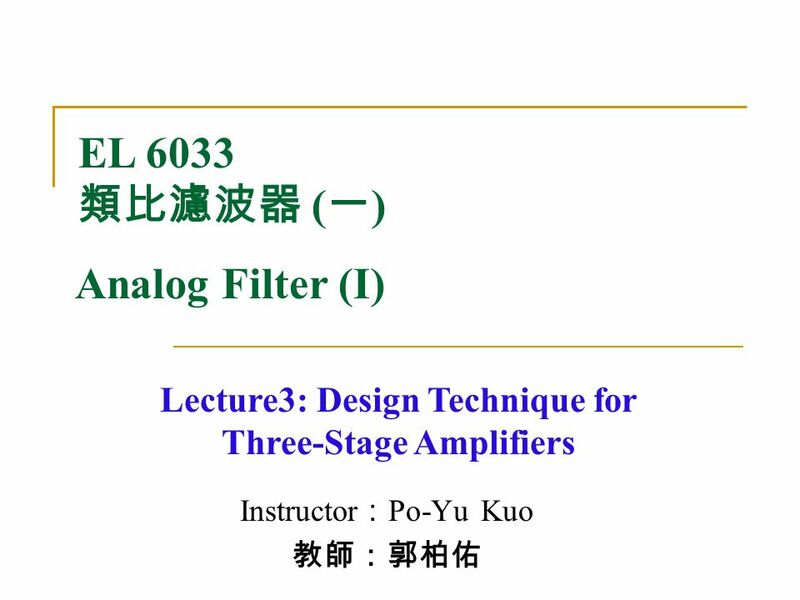 Department of EECS University of California, Berkeley EECS 105 Fall 2003, Lecture 23 Lecture 23: Multistage Amps-Cascades and Cascodes Prof. Niknejad. 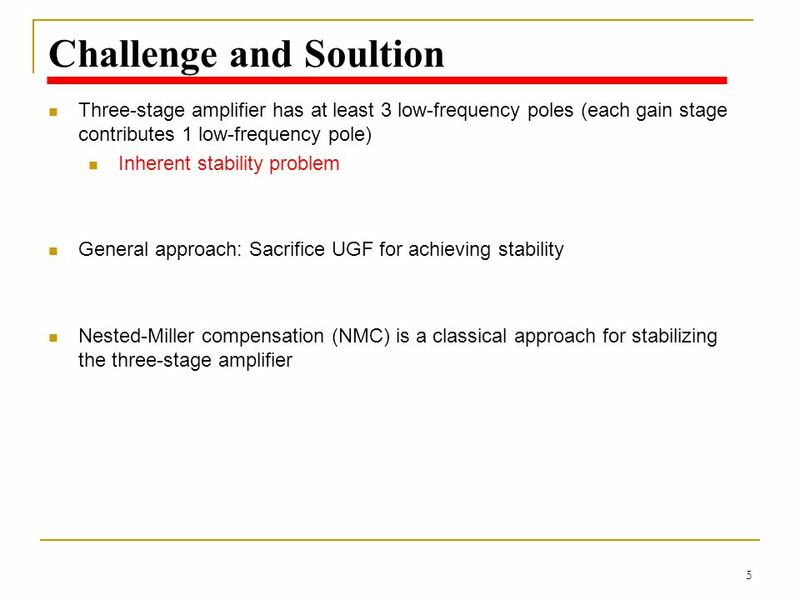 Department of EECS University of California, Berkeley EECS 105 Fall 2003, Lecture 22 Lecture 22: Multistage Amps Prof. Niknejad. 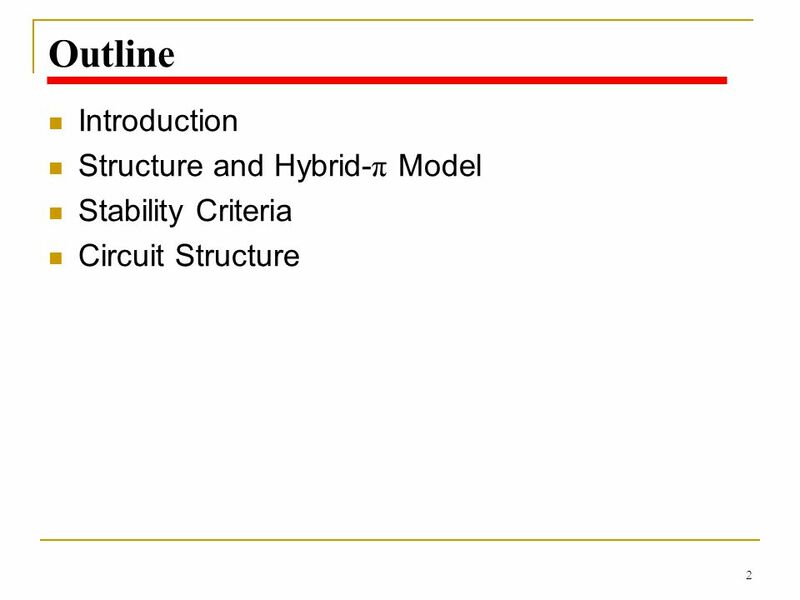 Topics & Important Concepts ELEC 312 (W11-12). 1. 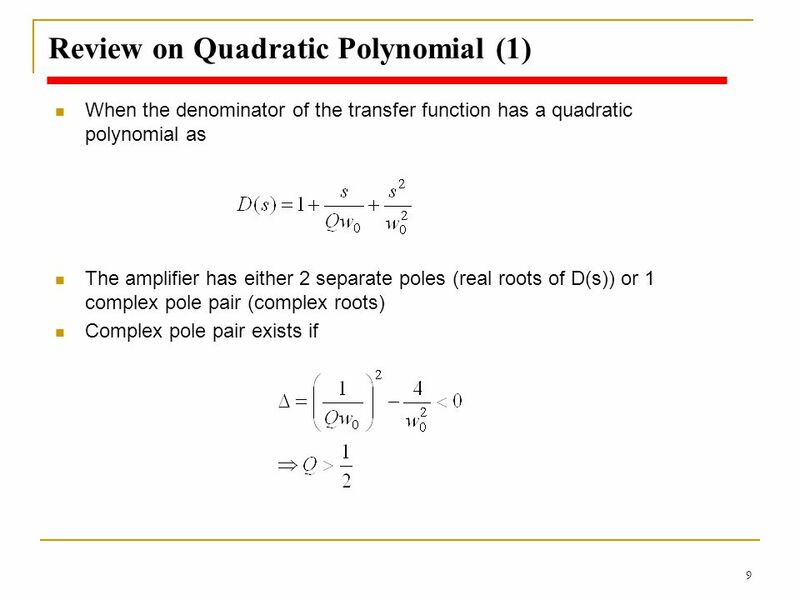 Semiconductor devices 2. I-V equations 3. DC analysis, DC design 4. 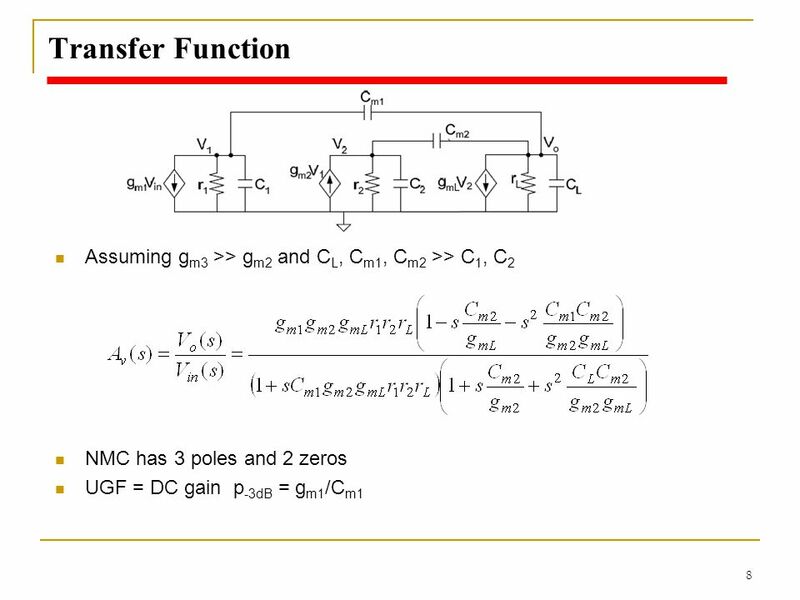 AC equivalent circuits 5. AC analysis.